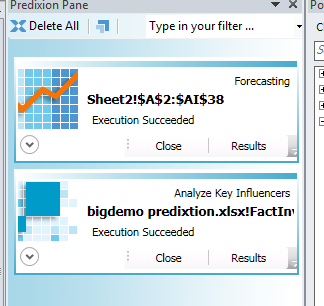 In my previous blog post I checked what the key influencer is for having a lot of stock using PowerPivot and Predixion Insight for Excel. Now i want to see what the number of units on stock will do in the future. I want to see this by country for the next 6 months. 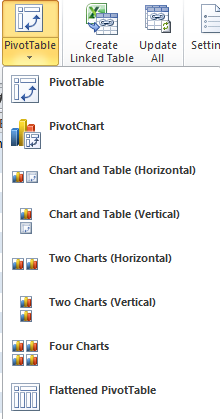 We start in Excel, i have again loaded the same tables as before into PowerPivot containing the Factinventory and a table containing country’s and stores. 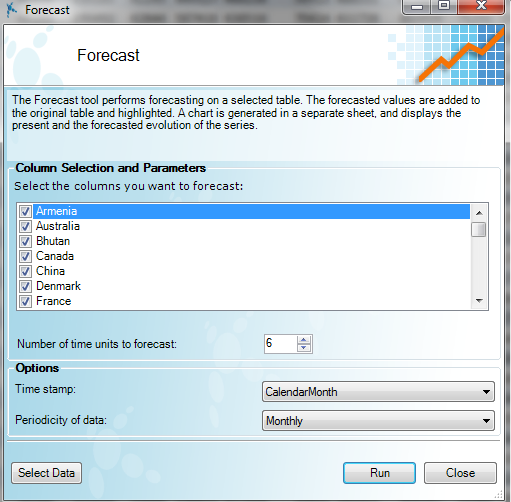 This time we are going to use PowerPivot indirect since the data in PowerPivot is not really suited for the Forecast, besides we want to use an aggregated value for this and not all individual 8 million records we used before. 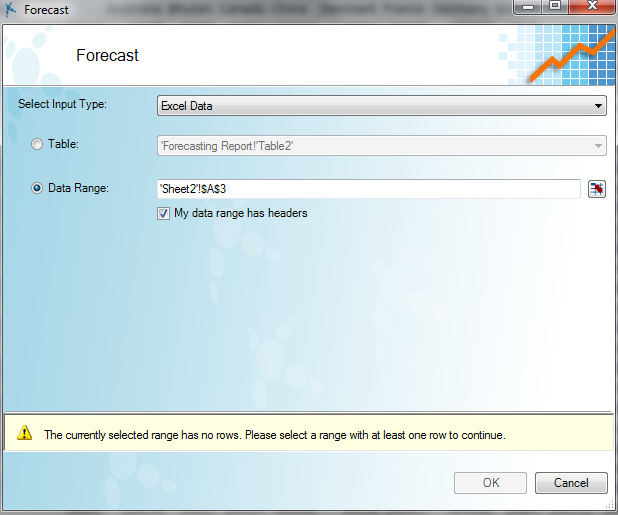 We can just select the range my flattened pivottable is in and press OK.
As you can see we need to pay extra attention to Germany, the forecast is that they are building up huge units on stock in the near future. 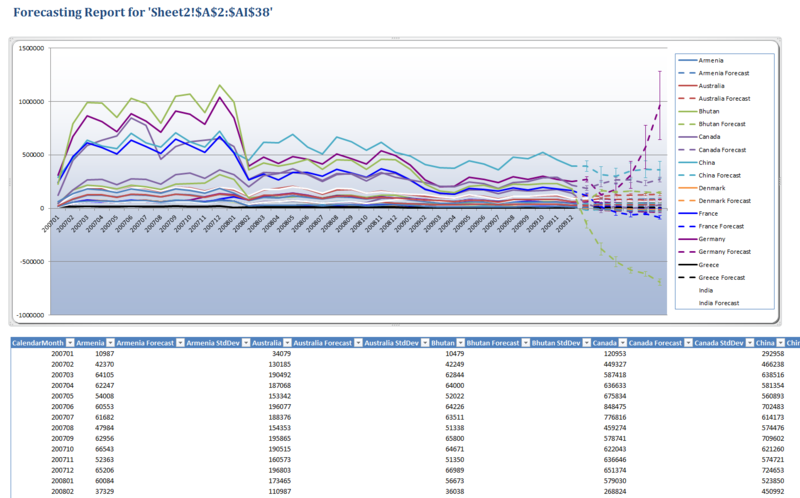 Again another powerful use of your data, and very easy to do ! Update: I got a message from Jamie MacLennan CTO from Predixion who gave a hint to improve my forecast: if you cut out that part of the data that is very different from the rest of the graph (i.e. prior to 200802) the prediction may be better.